The current polar vortex sweeping the country has spurred a serious discussion on cold weather safety. With lives lost and countless injuries due to freezing temperatures across most of the United States, it’s important to remember that our senior citizens are incredibly susceptible to this sub-zero threat. Preparing seniors for winter months could be the difference between life and death when a blizzard or cold snap strikes. Keep reading for freezing weather safety tips from Sandyside Senior Living in White Lake, Michigan. 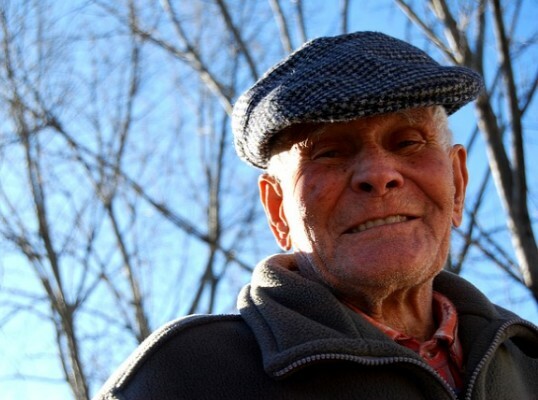 Just how serious is the threat of freezing weather to elderly individuals? Falls are the leading cause of injury resulting in hospital admission in older adults, this includes falls from winter elements like ice and snow. As you can see, there are plenty of real health risks for seniors living in cold climates. Luckily, you can prevent the worst that winter has to offer. Does your loved one need a safe place to stay this winter? Please CLICK HERE for info on Sandyside Senior Living assisted living home. Along with an increased chance of hypothermia, fall, and depression, there are several reasons for elderly folks to be weary of the cold. Preparing seniors for winter months involves the entire home, yard, and even your plumbing! 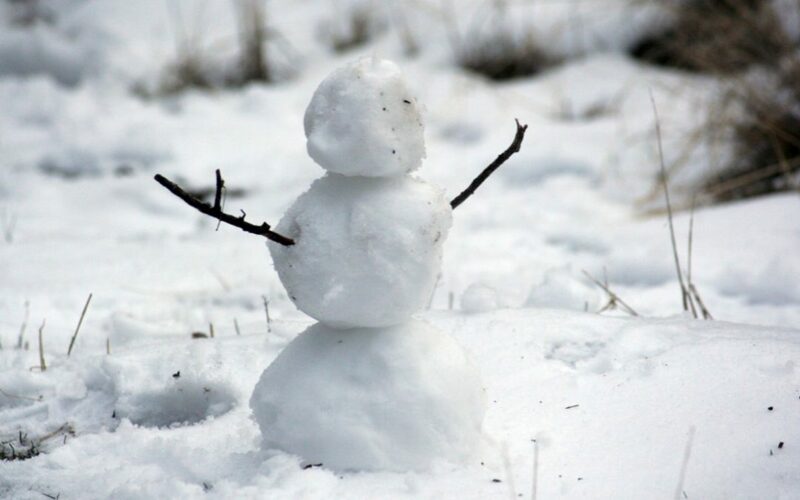 Keep reading for 5 handy winter safety tips. Falls are the leading cause of hospitalization and death in seniors. What seems like a simple slip could drastically impact the life of an elderly individual. 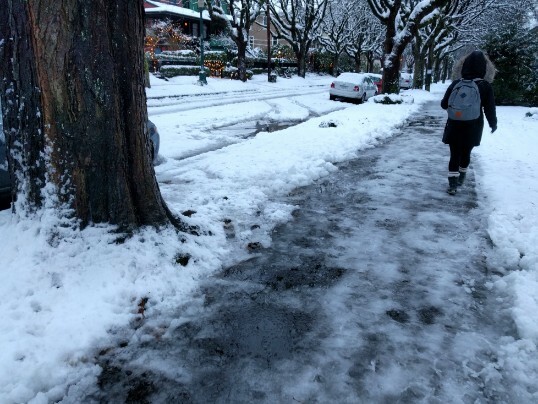 So when it comes to ice and snow, it’s best to keep the chance of slipping to a minimum! Here are a few ways to minimize the risk of fall when preparing seniors for winter moths. Make sure to clear all regular walking paths with shovels and salt, or protect from snow and freezing rain with a canopy, tarp, or overhang. Have a pair of non-slip shoes ready at all times, and ensure any cane or walker is fitted with sturdy rubber stoppers. When entering the home from the outside, remove wet shoes and clothes immediately. Keep a towel at hand to dry up any leftover snow, ice, or water near doorways. Everyone talks about the snow and ice that winter brings, but for many it’s the extreme cold that is most dangerous. Frost bite and hypothermia are the most well-known conditions effecting those exposed to freezing temps, but people rarely consider the lesser-known side effects. According to health.harvard.edu, constant exposure to cold weather or a freezing draft can lower immune system and lead to illness. This is especially troubling considering certain health conditions that effect elderly individuals like hypothyroidism, stroke, Parkinson’s disease, and nerve damage can lower body temperature (walkermethodist.org). 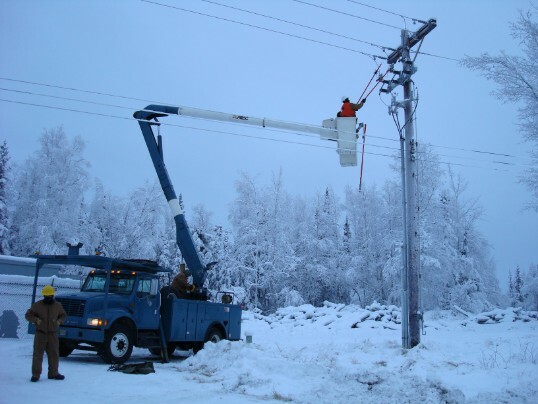 Power outages are fairly common during winter storms. Unfortunately, there is no worse time to lose power! Lack of heat, communication capabilities, and weather updates can be a serious concern when the grid goes down. The first and most important thing to remember is to keep a backup source of heat. This can be accomplished many ways. Those with a fireplace should have no problem getting it started despite the chilly temperature outside. Another alternative is a portable gas heater. Propane and kerosene are cheap, safe, and simple to use as fuel for these inexpensive heat sources! Backup generators can not only power the lights and appliances, but also serve as a power source for electric heaters. With the increased use of alternate heat sources, smoke, fires and carbon monoxide poisoning are always a risk. Be sure to check that all your wired and non-wired smoke and gas alarms have fresh batteries. As is the case with any emergency, non-perishable food items should be stored and readily available. Flashlights, lanterns, candles, and other sources of light are always handy. In the event that you are unable to reach your senior friend or family member during an outage, it’s a good idea to ask neighbors, landlords, or nearby friends if they could check on them for you. Preparing seniors for winter months means more than just storing food and extra firewood. 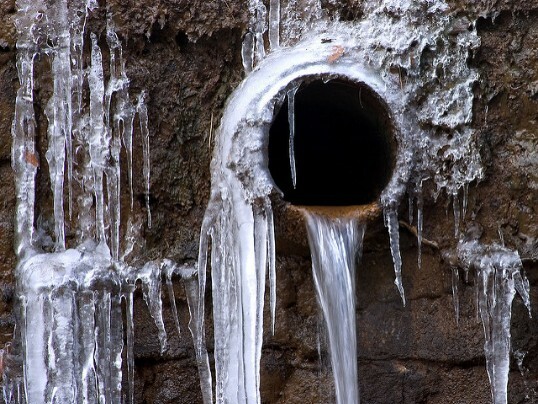 Certain weather conditions can lead to serious plumbing problems, the main one being frozen pipes. Frozen pipes not only cause the water to stop flowing for drinking, cooking, and hygiene, but can also burst and flood multiple areas of your home. The final freezing weather safety tip tends to the mental health of our elderly loved ones. 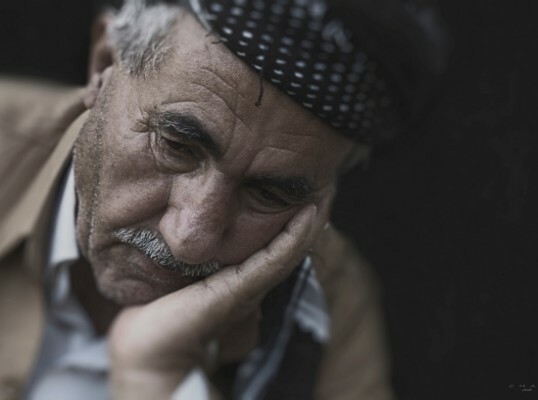 The grey skies, dangerous travel conditions, and extra-cold temperatures during the winter can lead to isolation and feelings of depression and loneliness. Make sure to check in regularly with your senior friends and family, or in the case you can’t reach them, arrange for a neighbor to check in every once in a while. If you are concerned that someone you know may be experiencing feelings of isolation due to winter conditions, try looking for senior therapy options. In senior therapy, mental and physical health are improved through both one-on-one and group sessions. Learn more about this important field of therapy by reading our latest article, What is Senior Therapy and Where to Find it Near You. We specialize in caring for those with Dementia/Alzheimer's, Multiple Sclerosis, Parkinson's Disease and general debility. Our mission is providing impeccable care for all of our residents and it starts and ends with an exceptional staff and industry-leading amenities.